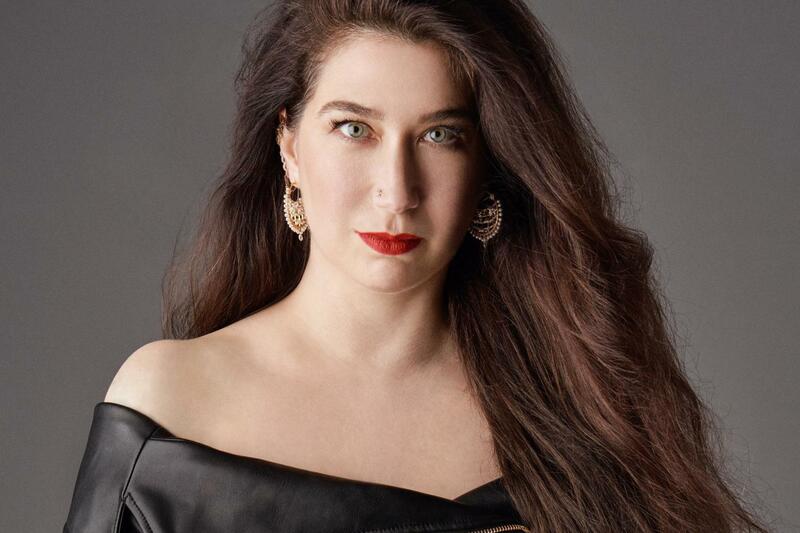 If there’s one name that has become synonymous with the recent boom in multiple ear piercings, it is American jeweller Maria Tash. Once the reserve of punks, goths and teenage rebels, piercings are now the smallest must-have fashion accessory, seen everywhere from catwalks to billboards and adorning even the most conservative faces. Since launching her first eponymous store in New York’s East Village in 1993, Tash has become a jewellery mogul, with concessions worldwide and an Instagram following pushing 300,000. 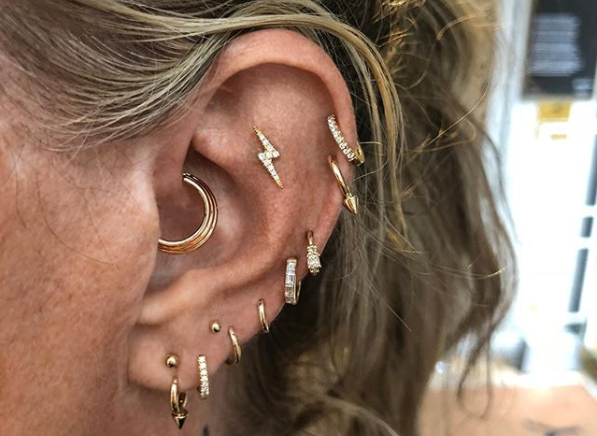 Her intricate, fine jewellery can be seen punctuating the ears of celebrities from Beyoncé to Margot Robbie and – differing from most mainstream piercing salons – customers can wear most of the pieces immediately, without having to spend months waiting for holes to heal around sterile surgical steel bars. Speaking at the launch of her new Harrods boutique (open for less than a week and already buzzing with customers champing at the bit to go under the needle), the jeweller tells The Independent how our view of piercings has changed so much in recent years. 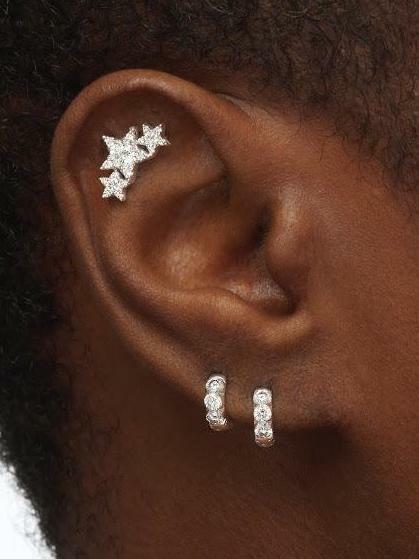 “There are no rules any more,” says Tash, explaining how conventional matching lobe earrings have been eschewed over the past six-or-so years for what she calls “asymmetry,” multiple all-over ear gems. “High fashion brands now allow all the models to wear all their own earrings and piercings. Ear piercing has become quite liberated. She puts the recent boom in multiple ear piercings down to the wider range of jewellery now available. “People don’t just get something because they feel badass about it. They think ‘oh that’s really beautiful, where can I put that?’ The quality of the jewellery has inspired the piercing now.” And with Maria Tash jewellery setting customers back anything from £95 for a basic hoop to as much as £18,000 for more elaborate jewelled pieces, you’d have to really want something. Other long-departed body modifications according to Tash include dermals (a stud directly into the skin anywhere on the body, one of which caused a furore on this year’s Love Island), as well as tongue and genital piercings. “Tongue piercing got a really bad rap because people put really long bars in and they cracked teeth so dentists were against them and they went out, even though if you shortened it and it was done properly it was OK,” she says. Beyond just the placement of piercings on the body, now trends see people more concerned with curating their piercings, focusing on how things fit and feel on their individual body, and go with their desired look. At Tash’s salons, they offer small split rings and clip-on studs that shoppers can move around their faces to design the look before committing to the needle. “The idea is to make things look very deliberate. Design intent is important. It’s not about the number that you have, the quantity, it’s about finding a placement that is flattering and intentional,” explains Tash. There are more options than ever, today, which can be done professionally and safely, and with much more appealing jewellery than there have been in the past decade. Above everything, Tash predicts one style in particular will become increasingly popular. 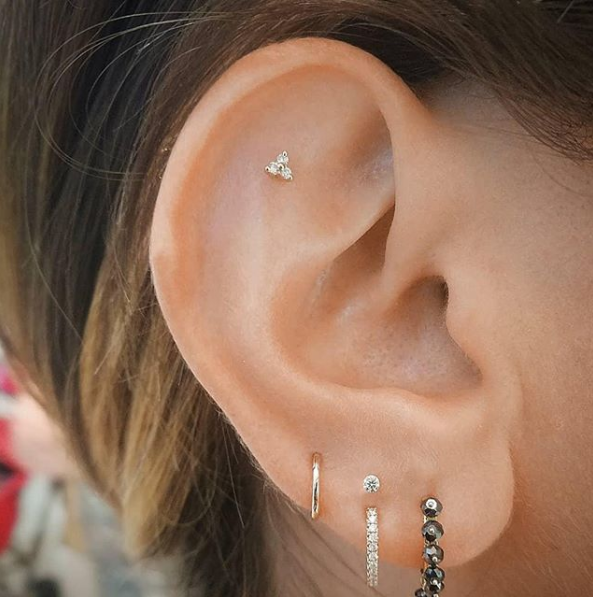 What she refers to as the “high lobe,” a stud placed directly above your first or second lobe piercing, or even high-up between the two. The jeweller thinks that the renaissance of piercings has led to a more liberal view of them, and could even eventually signal the return of previously more taboo jewellery like genital piercings.